Forces loyal to Libya’s Government of National Accord said on Monday that they are closing in on the last ISIS group fighters in the coastal city of Sirte. The pro-GNA forces said they managed to dislodge ISIS fighters from a fortified school in the al-Giza al-Bahriya district that the militants had fiercely defended. Artillery pounded ISIS positions as pro-GNA fighters mainly from the western town of Misrata advanced house by house, said an AFP correspondent who reported seeing wounded. A medical source said the fighting killed two pro-GNA fighters and wounded 17 others. Sirte, 450 kilometres (280 miles) east of the capital Tripoli, had a population of 120,000 before ISIS seized it in June 2015 and residents began to flee. 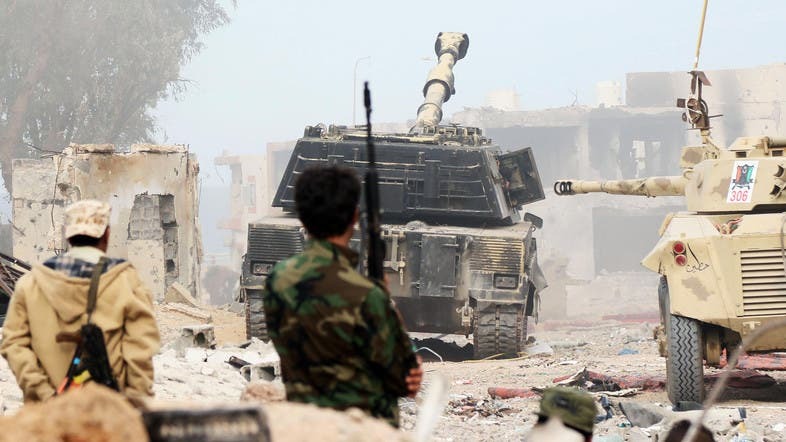 The pro-government forces announced the launch of the battle for Sirte on May 12 and, within weeks, they recaptured large chunks of the coastal city. But the pro-GNA forces slowed down the offensive in an effort to avoid losses among their own ranks and to protect civilians trapped in the city. The fighting has left nearly 700 GNA fighters dead and 3,000 wounded. The death toll for the militants is not known.